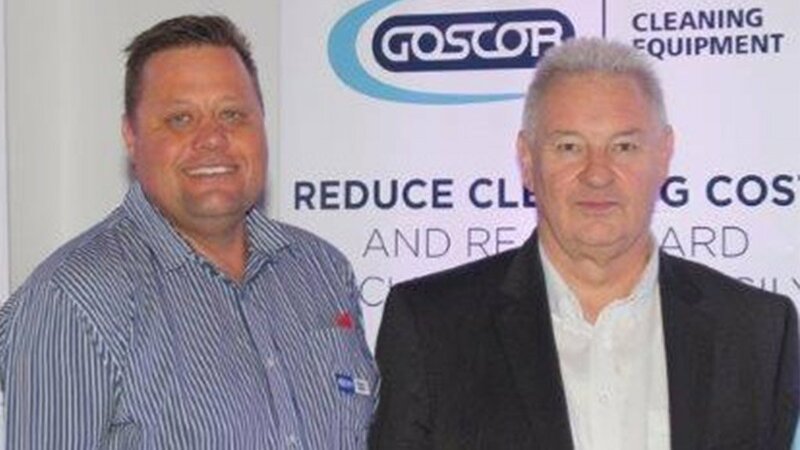 Goscor Cleaning Equipment (GCE), part of the Goscor Group, officially opened its newly-revamped, state-of-the-art showroom at its head office in Edenvale, Johannesburg at the end of March, to provide added value for customers, distribution partners, and staff members. 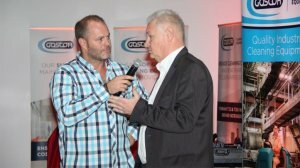 “We have invested a lot of time and resources in the newly-revamped facility to provide our staff and customers with improved training facilities, and also be able to showcase our broad product range to clients directly to enable them to operate the equipment for themselves,” GCE National Sales Director Peter Esterhuizen explained at the launch event. 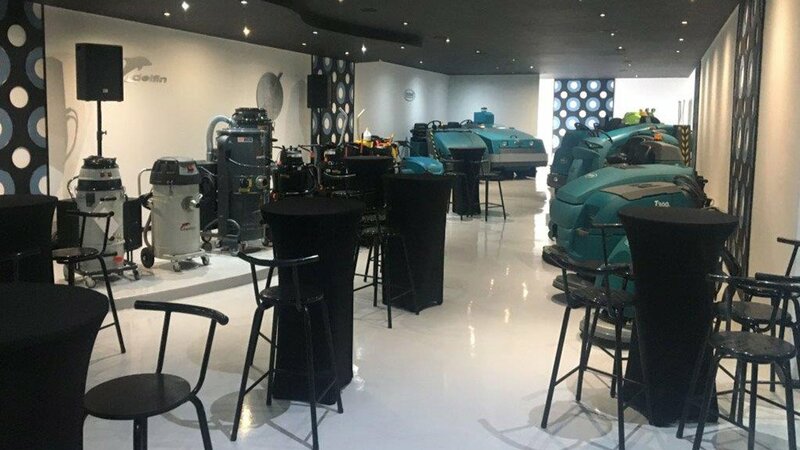 The showroom has also been equipped with audiovisual equipment for training purposes, and is also intended for use by customers. 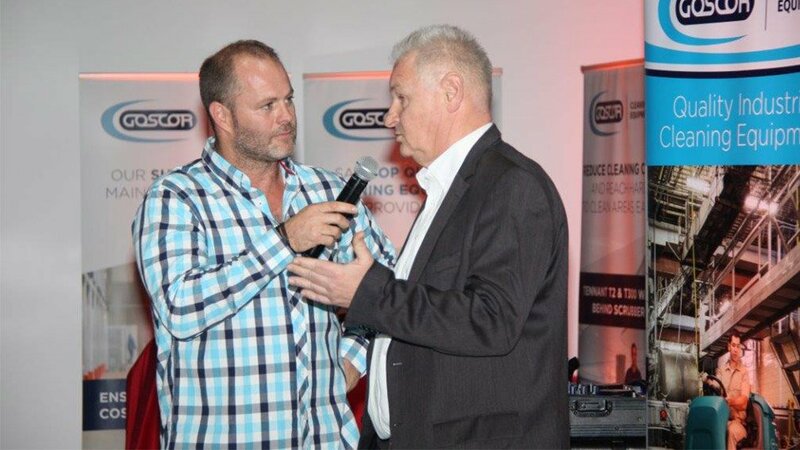 “We want customers to host their monthly sales meeting in our boardroom, after which GCE can provide their sales teams with comprehensive training sessions. “This is not limited to straightforward product training, but could also include how to clean floor surfaces correctly, discussions about the most suitable accessories for machines, or providing other training required as requested by clients,” Esterhuizen highlighted. The converted water is created by an on-board e-cell that generates millions of tiny microscopic bubbles, known as nanobubbles, that promote cleaning efficiency. This next-generation solution offers the same benefits of the first generation, but now also cleans more soil types in a wider range of applications. 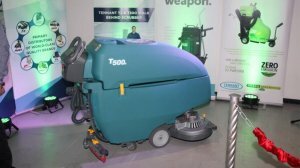 Another of Tennant’s water-saving technologies is the optional Extended Scrubbing (ES) system, which provides for extra scrubbing time on its scrubbers or sweeper-scrubbers. The Tennant ES is suitable for any detergent, from medium cleaners to heavy degreasers, for maximum flexibility. It recycles the water used, thus decreasing water consumption by 60%, resulting in a safer, greener, and far more cost-effective cleaning solution. “The key to producing industry-leading equipment is to strive for constant improvement. That is why Tennant is continually seeking to produce economic products that decrease power and water consumption,” Rainer stressed. 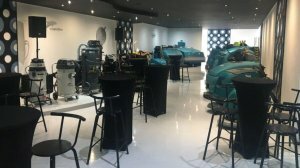 “It is wonderful to be present at the official launch of this newly-revamped showroom, which will undoubtedly play an invaluable role in further promoting Tennant, as well as the other brands that GCE supplies,” Rainer concluded.